Thank you, Sherry and all of the hosts for the party! Congratulations on the New Linky Party. I am very excited for you. I couldn't wait to link up. Best of luck. Yes, I've been really looking forward to joining this new party, that seems it will be wonderful and a blast! With such an outstanding group of hosts, I can expect nothing but the best! Congrats to all of you and thanks a ton for hosting. 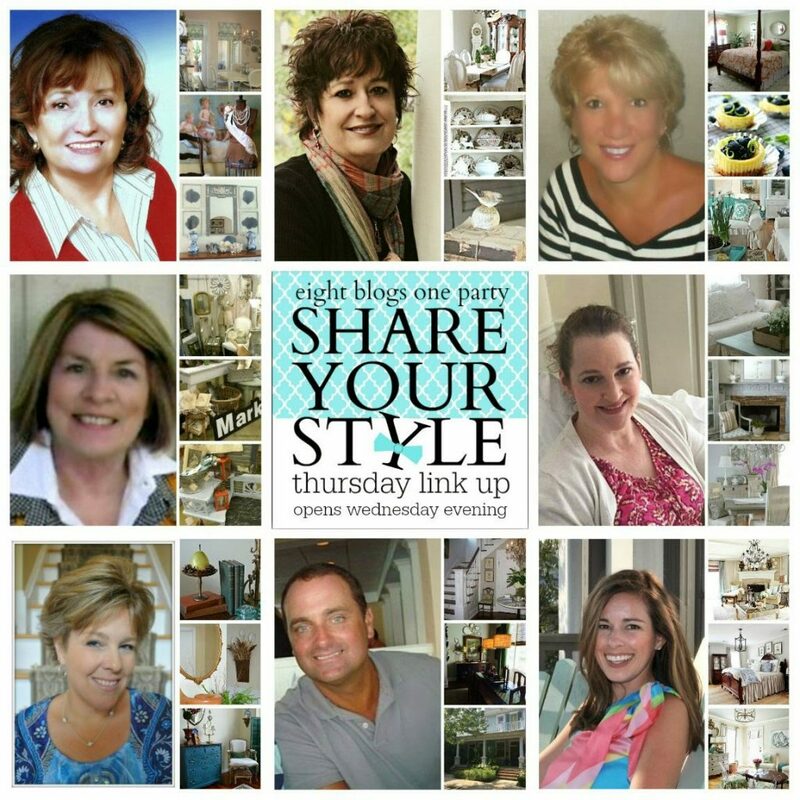 Congratulations Sherry on your first Share Your Style Party! What a great team of hosts you have. I'm happy to have you back partying. Woo hoo! this is going to be a great party Sherry and everyone! thanks so much!! I love the party. But how do you get rid of that annoying pop up ad bar that gets in the way? Congrats, Sherry (and all of your other co-hosts) on your inaugural party for "Share Your Style"! I think your "Open House" party was a Thursday party too wasn't it? I know it will be a huge success! thanks for hosting! love a new party. Thank you, to all the hostesses & host for the party! Have a great day, stay warm. Hi Sherry, Congrats on the great new party and thank you to you and all who are hosting. Thank you also for stopping by and your kind comment. Have fun and a great weekend. I've never been to one of these parties before. So glad to be invited! Excited to share the love! !